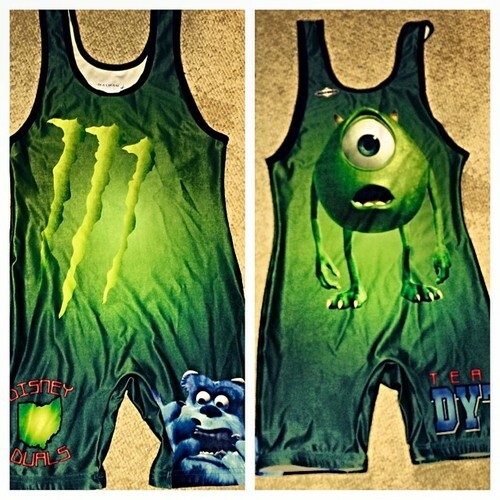 My favorite wrestling singlet Disney Monsters Inc.
How sweet is is Disney's Monsters Inc wrestling singlet? It even has the Monster energy drink logo. That's a lot of monster in one singlet.